× three = 6 Required Please enter the correct value. The Match.com IPO has officially been filed, and the deal will be one of the most-talked about IPOs of the year. The offering is set to raise $100 million, but that amount is likely a placeholder. 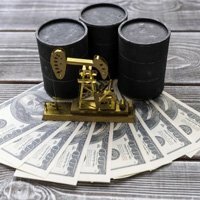 According to Renaissance Capital, a manager of IPO-focused ETFs, the deal could raise up to $500 million. While no Match.com IPO price range has been set yet, the company hopes to debut by the end of 2015. Match Group Inc. (Nasdaq: MTCH) is the largest division of IAC, which owns and operates more than 45 online dating and educational services. These include Match.com, Tinder, OkCupid, The Princeton Review, and Tutor.com. 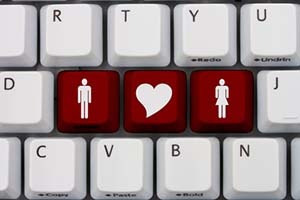 As of Sept. 30, the company's dating sites attract 59 million monthly active users and 4.7 million paid members. Match's top- and bottom-line numbers have grown significantly in recent years. It posted $888.2 million in revenue last year, up 10.6% from 2013. It saw a 64% increase in profit between 2012 and 2014 and is one of the few Internet-based companies to be profitable before going public. According to its U.S. Securities and Exchange Commission filing, Match targets "adults in North America, Western Europe and other select countries around the world who are not in a committed relationship and who have access to the internet." The company estimates that demographic consists of about 511 million people. However, other online dating firms have had not found success on Wall Street recently. Zoosk Inc. withdrew its IPO back in May and cited unfavorable market conditions. Chinese dating app Momo Inc. (Nasdaq ADR: MOMO) is down 22.5% since its December 2014 IPO. Should You Buy Into the Match.com IPO? 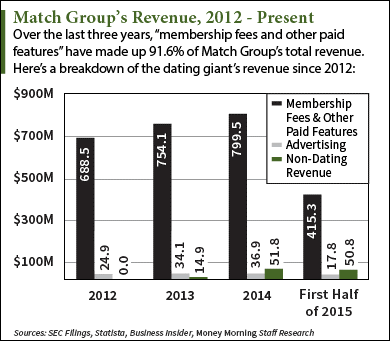 PlentyOfFish 2015 revenue was revealed by Match Group. PlentyOfFish Media Inc. (POF) 2015 revenue estimated USD 80 Million or less! But how many paid members does PlentyOfFish Media Inc. (POF) have? The PlentyOfFish 2015 revenue is 75% by Subscription and 25% by Ads. Unfortunately the Match Group had been doing all wrong, acquiring rotten companies to show illusory success to its investors. The Match Group is only a collection of old and obsolete online dating sites: Match, Meetic, Chemistry, OkCupid, FriendScout24, OurTime, HowAboutWe and many more. Even Tinder will not monetize as expected. The Match Group is not going to innovate and revolutionize the Online Dating Industry in the next years.